Tajiks ‘banned’ at home form opposition alliance in Poland, where Islamophobia and anti-refugee sentiment is rising. To human rights campaigners, Alim Sherzamonov is a civil society activist. But in his native Tajikistan, he is considered an “extremist”. Sherzamonov is from Khorog in eastern Tajikistan’s Gorno-Badakhshan Autonomous Region, which borders Afghanistan, and is a local opposition leader. Tensions between the Tajik government in Dushanbe and the people of Gorno-Badakhshan run high. Demonstrations six years ago turned deadly as the army and local armed forces clashed. Like other Tajik opposition dissidents, Sherzamonov fled Tajikistan for Poland. “We hope that Polish authorities will help us endorse our plight,” said Sherzamonov, who reached the Eastern European country last year. In early September, he was appointed as a deputy leader of the National Alliance of Tajikistan – an opposition coalition of four Tajik dissident parties and organisations: the Forum of Tajik Freethinkers, the Islamic Renaissance Party of Tajikistan (IRPT), the Association of Central Asian Migrants, and the People’s Movement “Reforms and Development in Tajikistan”. The Alliance represents a broad section of Tajik society, including secular and traditional figures, and is based in Poland. Jamshed Yorov, a lawyer from Dushanbe, is also among the Tajiks living in Poland. He was detained several times in his homeland on various charges before he escaped to Poland. Meanwhile, his brother Buzurgmehr Yorov, a human rights lawyer, was sentenced to 28 years in prison for defending political dissidents from the banned IRPT. It’s a protest that goes to the heart of a deepening constitutional conflict in Poland, where the ruling nationalist right-wing party is accused of tightening an authoritarian grip on the country’s judicial system while also stifling dissenting voices and fomenting far-right nationalism. The battle over the direction of Poland and its legal system is now at the center of European Union politics too. “I think this is a fight about the heart and soul of Europe,” said Frans Timmermans, a top EU commissioner, late Tuesday at a news conference in Brussels. “The fundamental question is [whether] the rule of law [is] a fundamental principle of how this union is organized – yes or no?” he told reporters. This fight has been in the making since 2015 when the Law and Justice party won Polish elections, and became the first government with a clear parliamentary majority in post-communist Poland. Since its victory, the party has passed a series of laws and measures that critics say undermine the rule of law and target opposition voices. The government’s supporters say it was necessary to overhaul a flawed justice system ruled by a caste of corrupt judges. Last December, the European Commission took the unprecedented step to trigger sanctions proceedings against Poland because of these moves. Poland became an EU member in 2004. 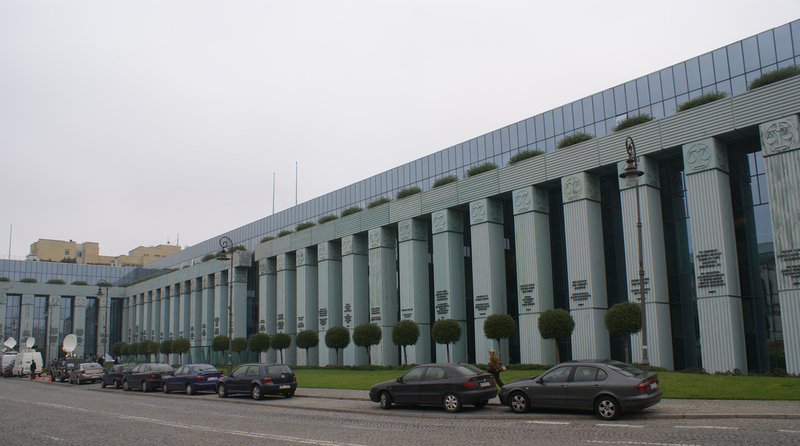 After the November 2015 election, the Polish government annulled the appointment of five judges to the constitutional tribunal nominated by the previous legislature. Replacements were then appointed by the new government. After that, the Polish parliament approved other changes that the EU and the judicial establishment say undermined the independence of the Polish justice system. The changes have given the government more control of common courts, the constitutional court, the supreme court and the final appeals court for civil and criminal cases. The most controversial change lowered the retirement age for supreme court judges from 70 to 65. This has had the effect of forcing about 27 the court’s 73 judges into retirement. The legal profession plays a crucial role in ensuring access to justice for all, transparency and accountability of the state, Rule of law and the respect for human rights. Yet, instead of being perceived as a vital player to the justice sector, today lawyers are often targeted by the governments in many OSCE countries for seeking truth and justice. As a result, lawyers often face high risks of persecution, harassment as well as severe sanctions for doing their job. This side-event aims to specifically discuss the situation of lawyers in Belarus, Russia, Azerbaijan, Tajikistan and Kazakhstan. The discussion will extend to consider the latest developments related to the rights of lawyers and their independence in the respective countries, and what impact this has on the overall rule of law and human rights situation. Ignoring objections at home and from the European Union, Poland has decided to go ahead with the appointment of new judges to the Supreme Court. “We’re speeding things up as much as we can,” judge Leszek Mazur told reporters on August 21. Mazur is the new head of the National Council of the Judiciary (KRS), a body overseeing judicial impartiality whose composition was changed as part of the reforms. As reported by Agence France-Presse (AFP), the governing conservative Law and Justice (PiS) party had introduced the forced early retirement of judges over the age of 65 as part of a raft of controversial judicial reforms that have drawn concern from Brussels. The PiS insists the judicial changes tackle corruption and overhaul a judicial system still haunted by Poland’s communist era. But the opposition, democracy watchdogs and the European Union have warned they undermine judicial independence, the rule of law and democracy. Warsaw has repeatedly clashed with Brussels over changes to its judicial system. An organization representing Europe’s judiciaries has moved to suspend the Polish Council for the Judiciary (KRS) on the basis it lacks independence from the executive in Warsaw. The board of the European Network of Councils of the Judiciary (ENCJ) put forward the proposal to suspend its Polish member, to be voted on at a meeting September 17. The ENCJ represents judiciaries from across the EU, and it acts as an advisory body to EU institutions. Its Polish member, the KRS, is the body responsible for selecting Poland’s judges. In January, a new law came into effect in Poland under which judicial members of the KRS are no longer selected by their peers but rather by the parliament. KRS members originally vehemently opposed the new law, but following the change its chairman issued a letter to the ENCJ defending the shift in how it functions. But the international body deemed the legal changes are problematic. The EU leadership has set a deadline for Poland to fix its law on retiring Supreme Court judges or risk a lawsuit. The dispute happens as Brussels and Warsaw are locked in a much bigger conflict over rule of law. 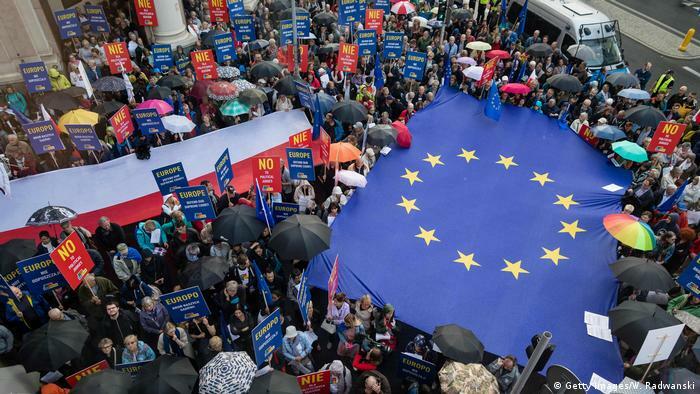 The EU’s top executive body, the European Commission, announced on Tuesday that Poland now has one month to amend its controversial law that would retire 27 Supreme Court judges. If the demands are not met, the EU Commission is likely to sue Poland before the European Court of Justice (ECJ) in Luxembourg. Last month, Poland’s ruling “Law and Justice” (PiS) party affirmed that judges would be required to retire at 65 instead of 70 years of age. The move would affect 27 of 76 Supreme Court judges, cutting short their six-year-terms, and retire the rebellious Chief Justice Malgorzata Gersdorf. The PiS says the changes are necessary to jolt the justice system, but Gersdorf and other judges describe the move as a “purge” and refuse to step down. The EU commission has already urged Poland to change the law , which the government refused. Polish authorities also sent out a 36-page document to justify their position, and said the judges would be able to ask the Polish president for an extension of their terms. 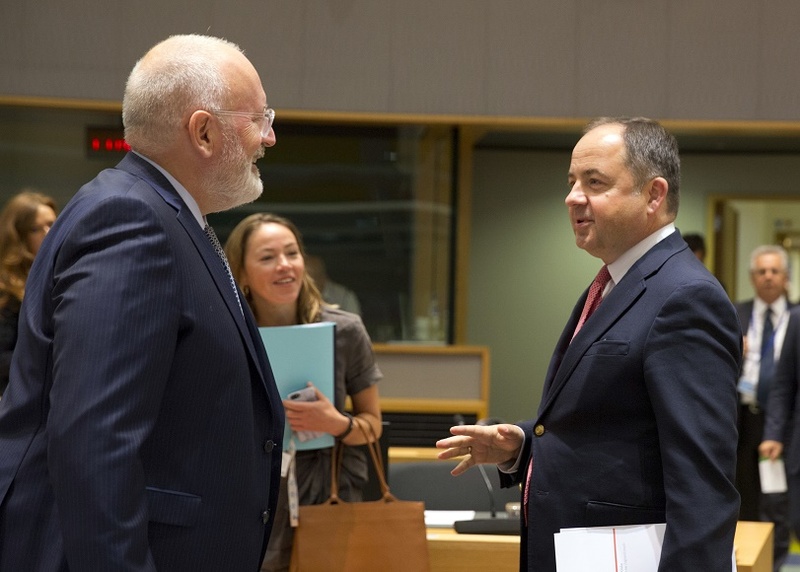 On Tuesday, however, the EU Commission restated their criticism of the law. “The response of the Polish authorities does not alleviate the Commission’s legal concerns,” officials said in a statement. In response, Polish officials accused the Commission of acting “politically” and vowed to fight any court case. “I believe we will defend our position until the end,” said deputy justice minister Lukasz Piebiak. Today, rules came into force that simplify the election of her replacement. This could effectively mean that her fob key might no longer work, her name plate would no longer be on her office door and she would be forced to clear out her desk. Judge Gersdorf was catapulted into the spotlight last month, after she defied a new law that reduced the retirement age of Supreme Court judges from 70 to 65. Nearly 30 Supreme Court judges were forced to retire, but, describing the changes as a ” purge of the Supreme Court conducted under the guise of retirement reform”, Judge Gersdorf turned up to work anyway. She was swept into the court house by a sea of supporters chanting “we are with you”, and has been coming into work ever since. The European Commission launched legal proceedings to assess whether the reforms breached EU law, but in order to speed the purge over the Supreme Court, the government pushed through a further judicial amendment. This amendment, which reduced number of justices who needed to be present when a new Supreme Court President is elected, came into effect at midnight. There is something particularly alarming about the erosion of the Supreme Court’s independence in Poland. Through its latest “reform”, the government has effectively put all arms of the judiciary – including the Constitutional Tribunal, National Council of the judiciary and common courts – under political control.